The school year ended for my middle daughter this week. She has her eighth grade graduation this evening, and then she will be considered a high school freshman…she has reminded me of her school status every day this week! We wanted to give her teachers a small thank you at the end of the semester, and I came up with this idea. 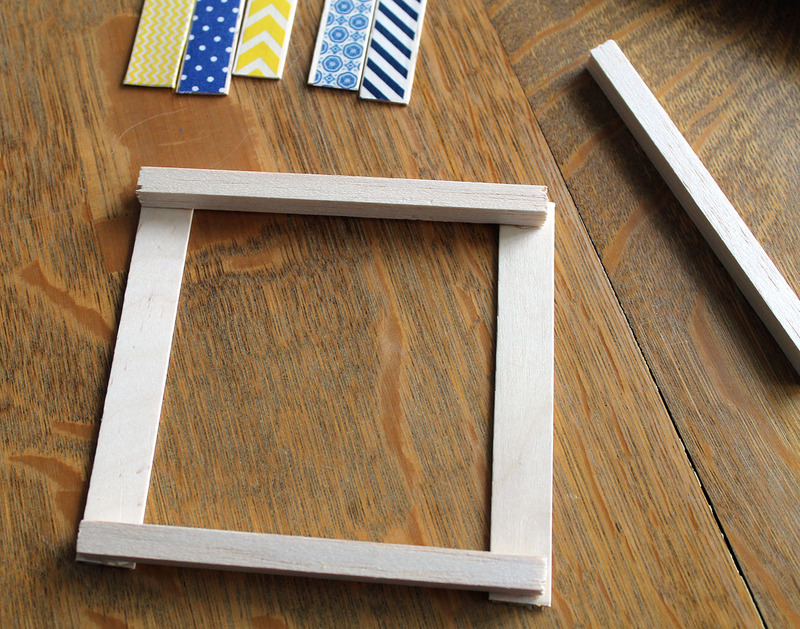 I started by snipping off the ends of the craft sticks using scissors. It takes seven of these for each coaster. 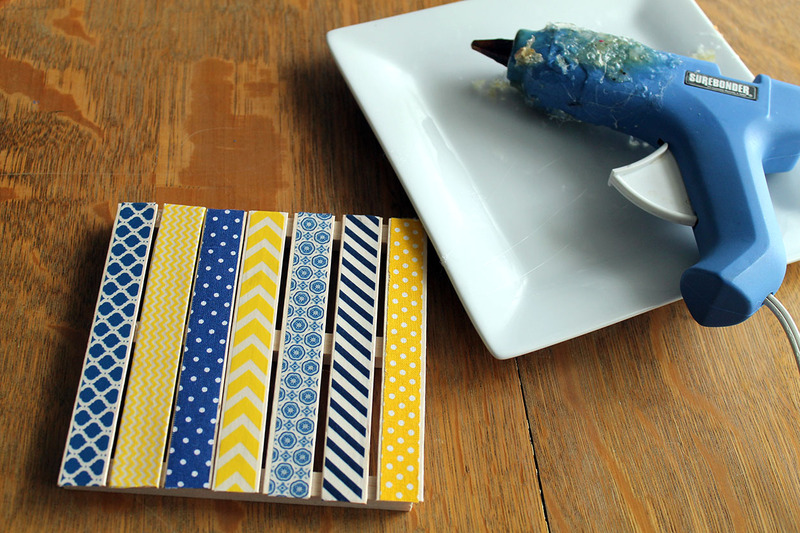 Then I used a kitchen knife to cut the balsa wood. 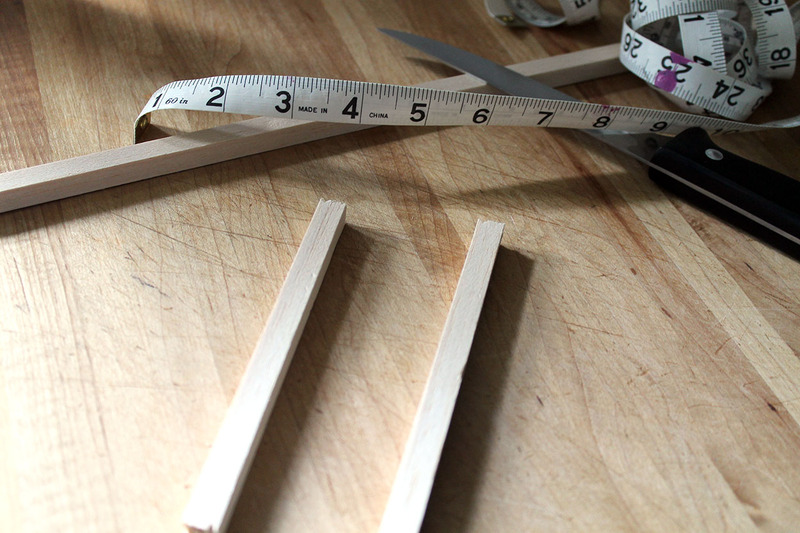 I measured the length of the wood sticks after snipping off the ends (which was 5 1/4 inches), and cut the balsa to the same length. 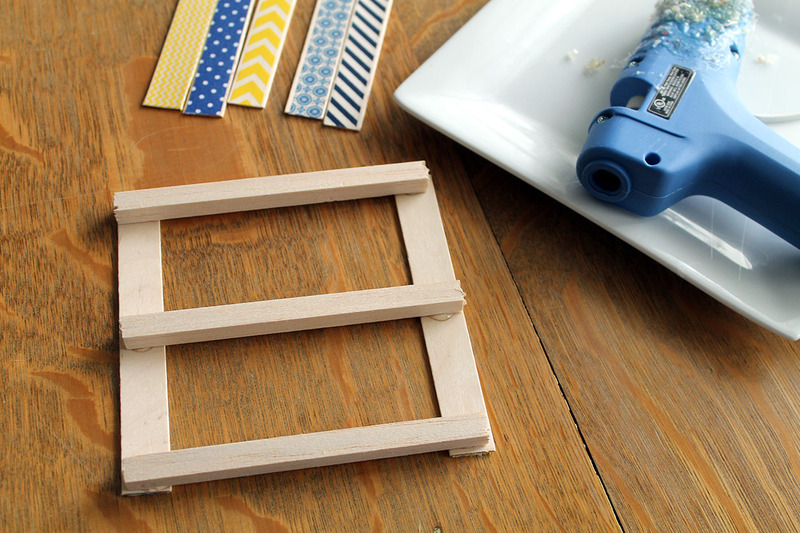 You will need three pieces of the balsa for each coaster. 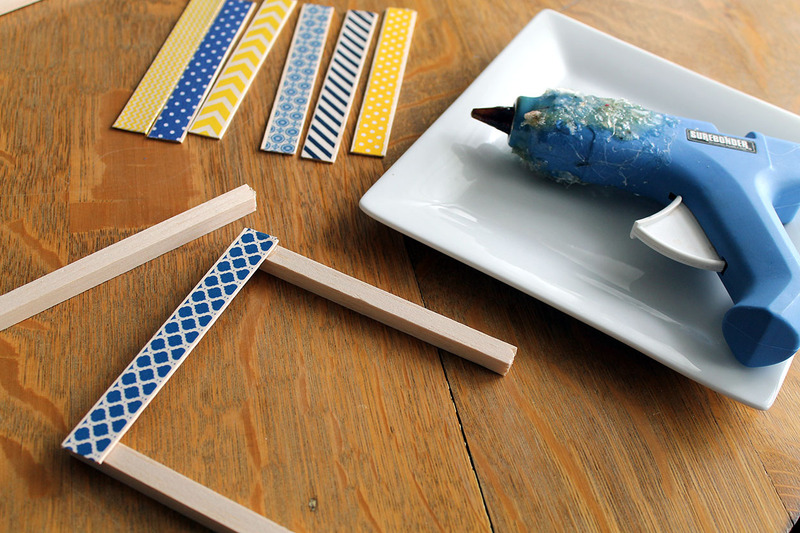 Next comes the fun part…decorating the wood sticks with the washi tape. 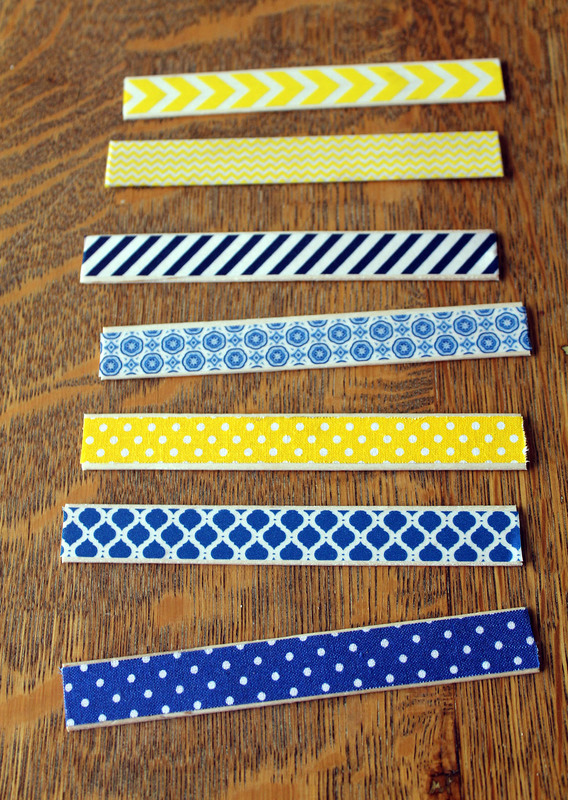 I used different patterns of blue and yellow (her school colors). 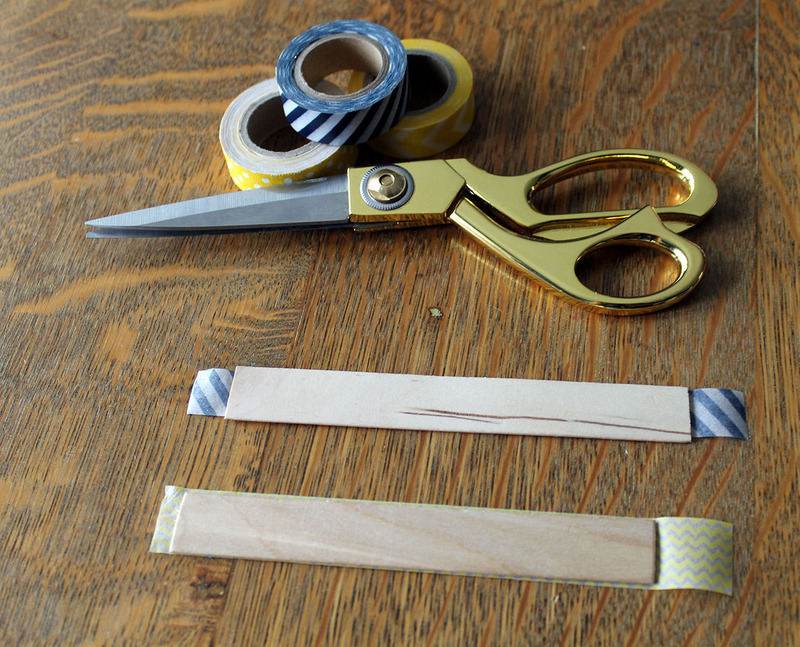 I cut a length of the tape and attached it to one side of the stick. Press it firmly in place. 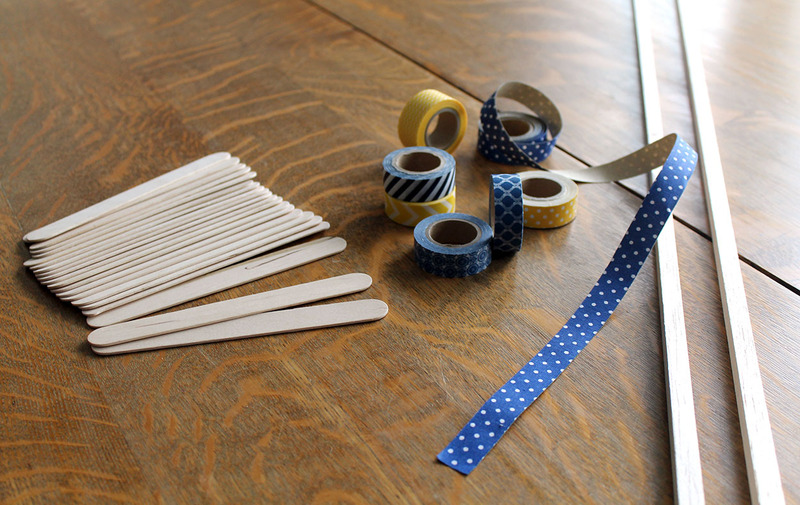 After the sticks were decorated with the washi tape, it was time to put it all together. 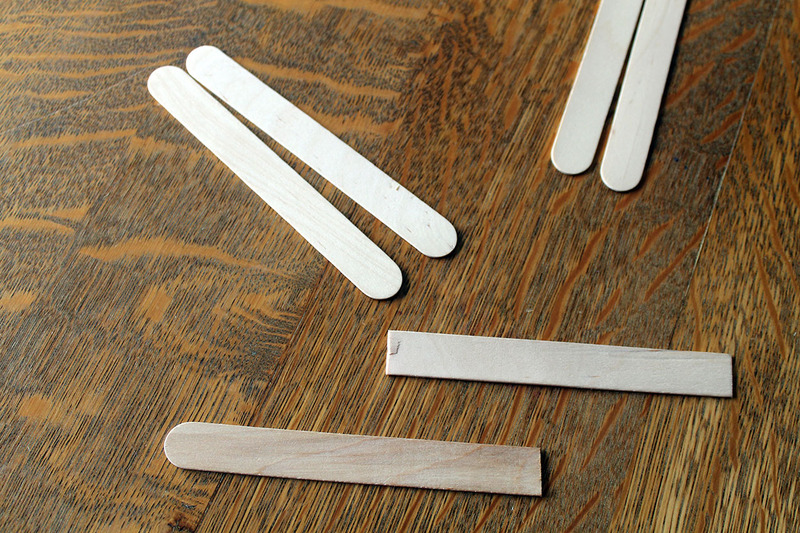 I glued one end of a craft stick to a balsa stick, and then glued the other end of it to another balsa stick. 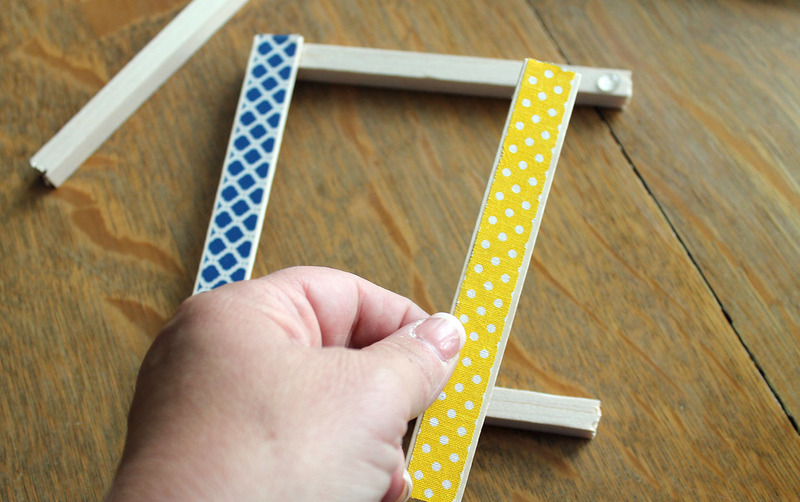 Then I did the same with another craft stick. 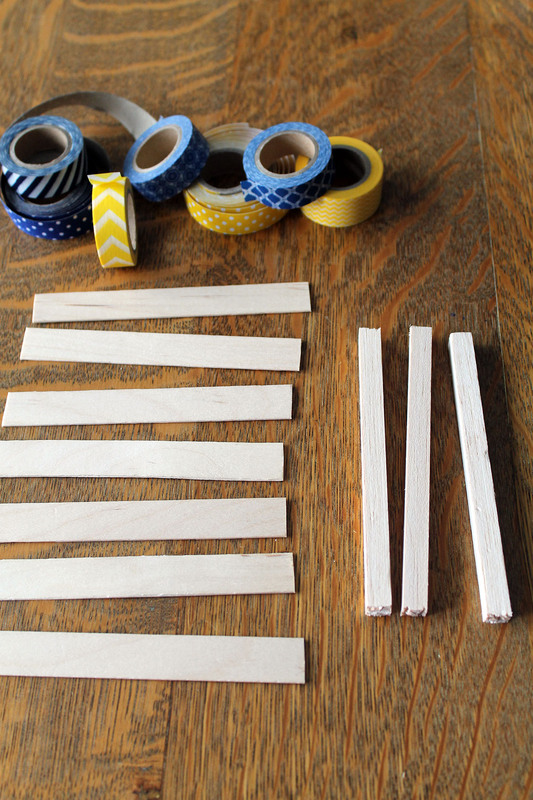 I turned it over, and then glued the third balsa stick in the middle for added support. 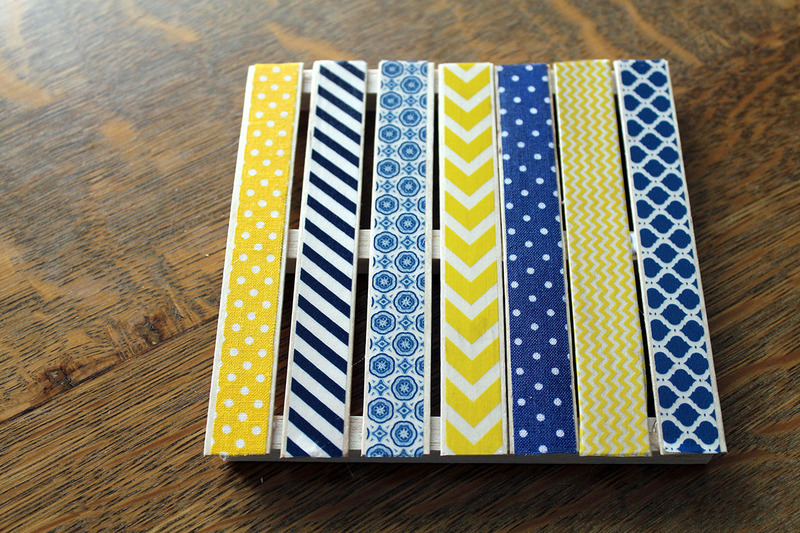 I planned my pattern of the craft sticks, and then I glued the rest of them in place. I started with the middle one and then finished by adding two more on both sides. 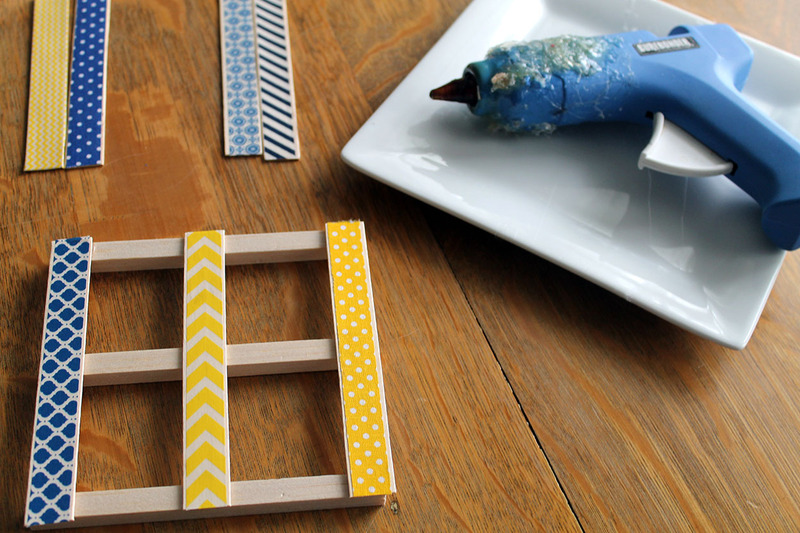 I applied a coat of mod podge to the top of the coaster to seal everything in place. 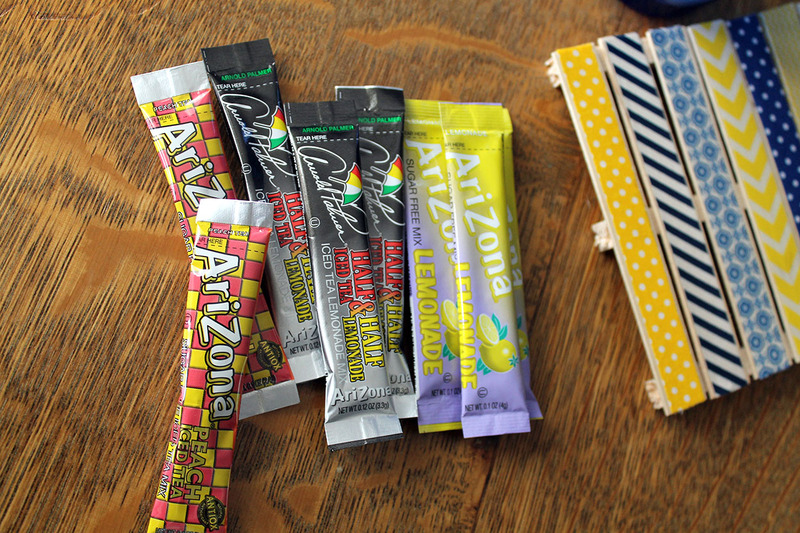 I purchased tumblers from the school spirit store and filled each with drink stick mixes…lemonade, Arnold Palmer, iced tea. Good summertime refreshment! 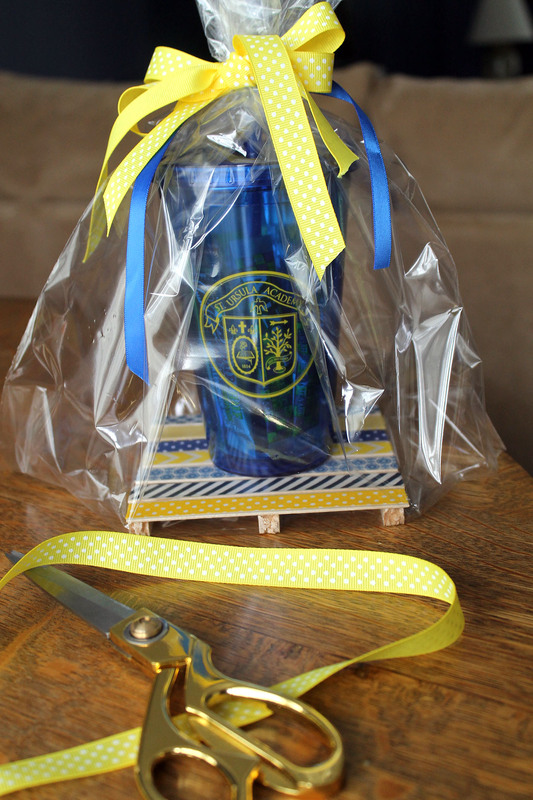 Wrap it up with some cellophane and ribbons, and it is ready to give as a thank you gift for a year of fun and learning! How cute is that! I don’t even know what mod lodge is. Always learning from you, Beth.